If you’re planning to get married and you want to find your dream dress, you’ll enjoy learning about the best 2018 wedding dress trends. We know what women want right now, as well as which designers offer the most fashionable wedding gowns. When your own wedding dress is at the height of fashion, you’ll feel so beautiful and confident as you walk down the aisle. While these wedding dress trends are cutting-edge and of-the-moment, some of the trends are truly timeless. You’ll find that there is a 2018 wedding dress trend for every type of woman. 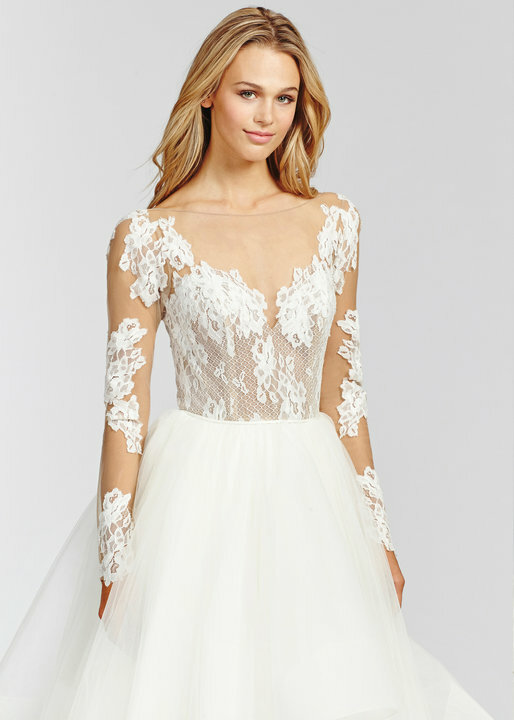 Sheer, feminine capes add transparent beauty to wedding gowns. They are delicate “over-layers” which are decorative and designed to showcase the beauty of the wedding gowns underneath. Typically, princess capes are crafted from sheer lace or other sheer fabric (in winter white, cream or any other traditional wedding hue). They are draped over wedding dresses in order to give brides-to-be a vintage-inspired look which is more classical and ornate. Some wedding capes are opaque. The sheer ones are more popular. However, the opaque princess capes definitely have a lot of visual impact. They stand out due to their shape and material. Gifted bridal gown designer, Justin Alexander, has created some show-stopping wedding gowns which feature princess capes. If you love the idea of a sheer cape which is worn over a wedding gown (princess capes may have long sleeves, short sleeves or sleeveless designs), then we recommend checking out Justin Alexander’s exquisite bridal gowns today. They are available at Fairytale Brides. He’s a designer that brides-to-be believe in and we’ve matches plenty of beautiful brides-to-be with his exceptional bridal gown design. Long-sleeved bridal dresses are gorgeous. They are often more elegant than short-sleeved or sleeveless wedding gowns. 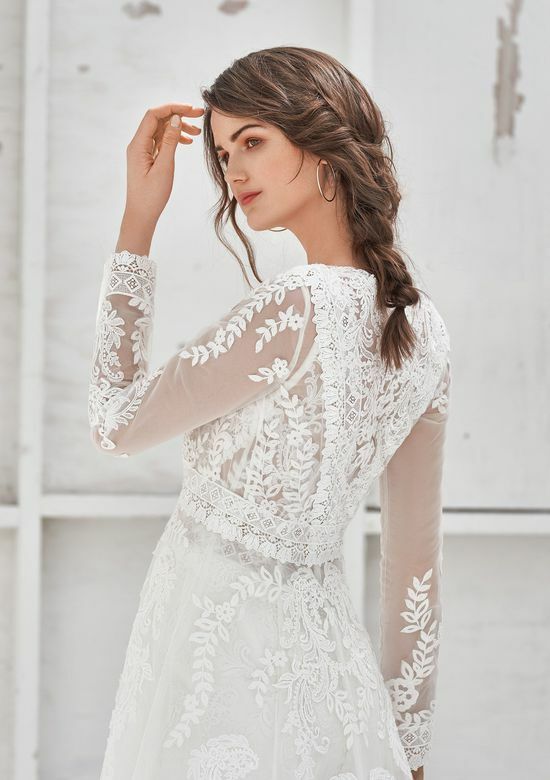 If you love timeless fashion design which offers the perfect blend of beauty and modesty, then we recommend searching for long-sleeved wedding dresses. 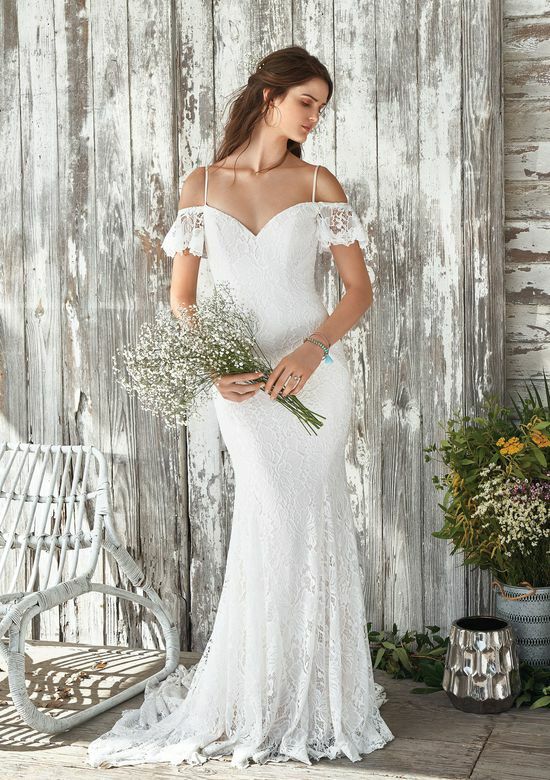 Sleeves for the hottest 2018 wedding gowns are usually very fitted, for a sleek look. They highlight the gracefulness of arms, shoulders, wrists and hands. Perfect for weddings which are more formal, or weddings during the cold-weather months, these gowns have a regal air. They are just so appropriate. Also, because they will cover you up more than sleeveless or short-sleeved designs, they will put the focus on your pretty face. Kate Middleton became the Duchess of Cambridge while wearing a stunning bespoke wedding dress (designed by Sarah Burton for Alexander McQueen) which featured long sleeves. We can’t all afford haute couture wedding gowns, as Kate could. However, we’re still not out of luck! There are gorgeous choices which cost a lot less and provide the same type of effect, including designs from Tara Keely. You’ll adore these Tara Keely bridal gowns! They’ll give you the Kate Middleton look for a price that is affordable. A huge trend for 2018 is the barely there applique. This is lace detailing that floats gently on top of sheer fabric to give a stunning look of intricate detail against bare skin. We believe that Hayley Paige designs some of the most beautiful bridal gowns with barely there applique in the entire world. Her Blush range from outright glamorous to bohemian and beyond. She’s so talented and donning one of her creations on your big day will ensure that you’re right on the cutting edge of fashion, whether you prefer a traditional look or something more modern. 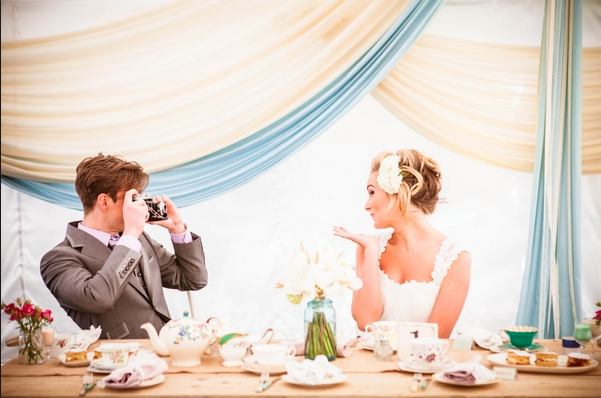 At Fairytale Brides, we help brides-to-be to find the wedding gowns that they’ve always dreamed of wearing. If you want to find a bridal gown which is beautiful, affordable and right on trend, you’ll find it at our bridal boutique. Also, we offer caring customer service. We treat every bride-to-be like royalty. Our wedding dress consultants will make sure that you enjoy a peaceful and pleasant experience as you try on gowns and accessories.